Research tells us that 80% of our discretionary effort is down to the relationship with our line manager, yet somehow they don’t always get the best from us. Why is that? We could just blame them – or we can take some responsibility and actively work towards a better understanding. 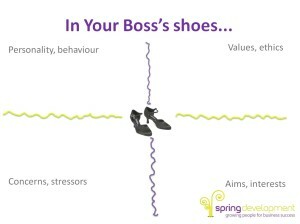 Is managing your boss even possible? 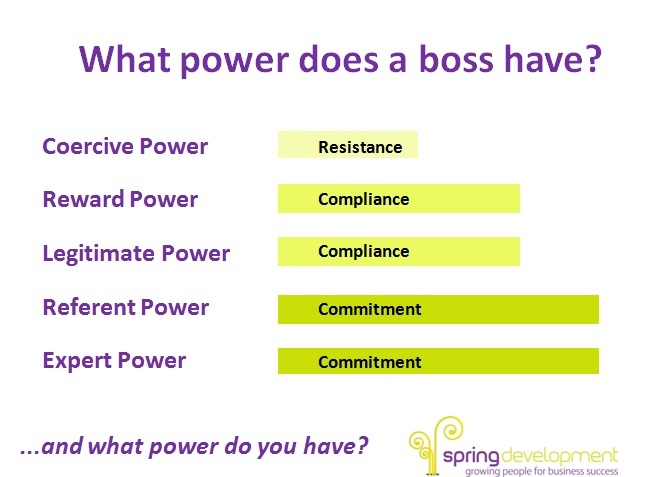 What Power Does a Boss Have? 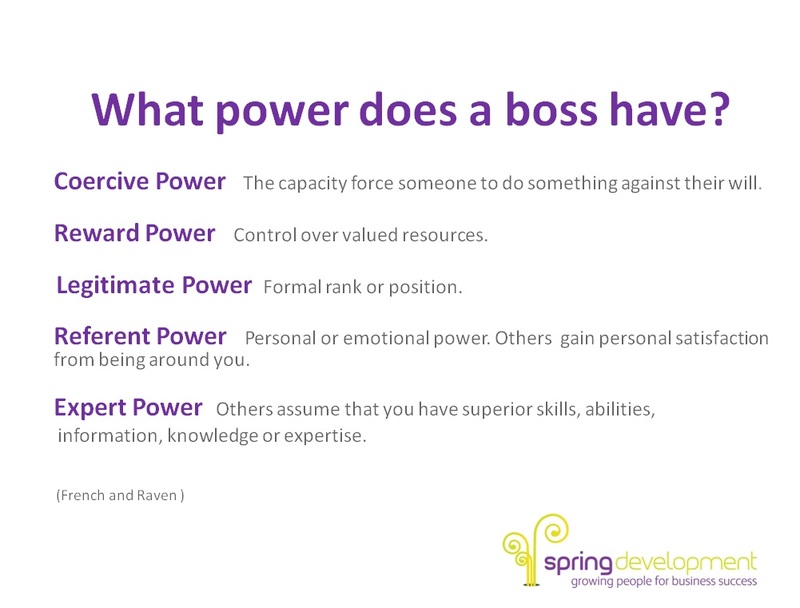 We had a quick look at French and Raven’s sources of power to help us analyse how our boss might be using them… …but of course, the types of power that are most likely to lead to our commitment are also open to us to use, often giving us the capacity to influence effectively. If we increase our knowledge and expertise and make sure we are a pleasure to be around, we increase our personal power base. 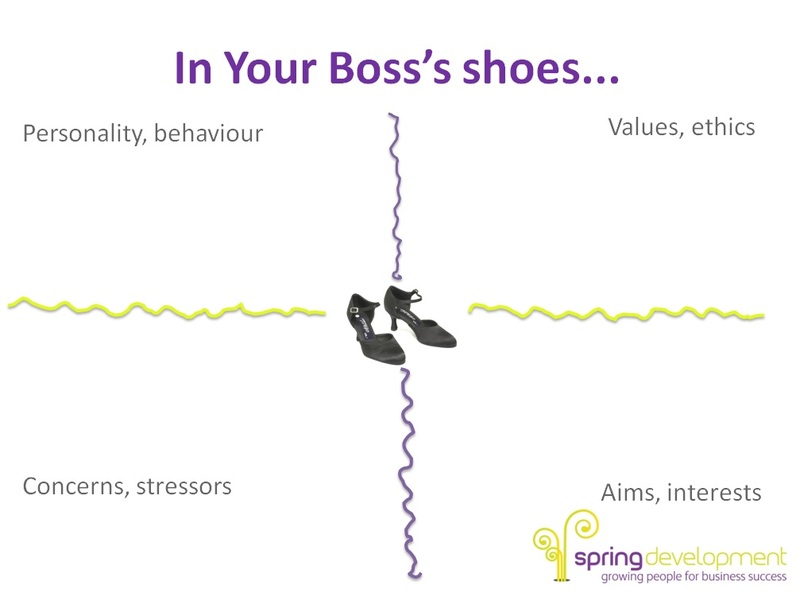 Here are five common causes of difficulties with bosses: …and a brief overview of how to move towards making it right. 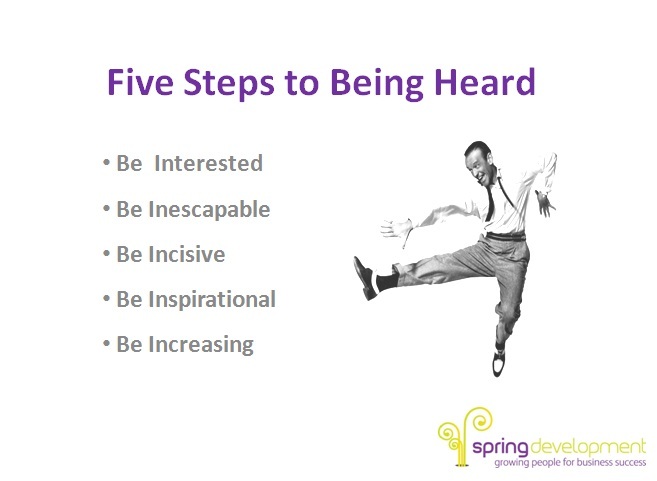 Due to the generosity of Richard Oppenheimer at Appraisal 360, I was able to give everyone a copy of Five Steps to Being Heard. 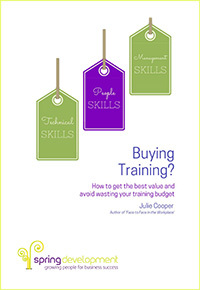 if you missed the event, you can get a complimentary ebook version by signing up to our mailing list. 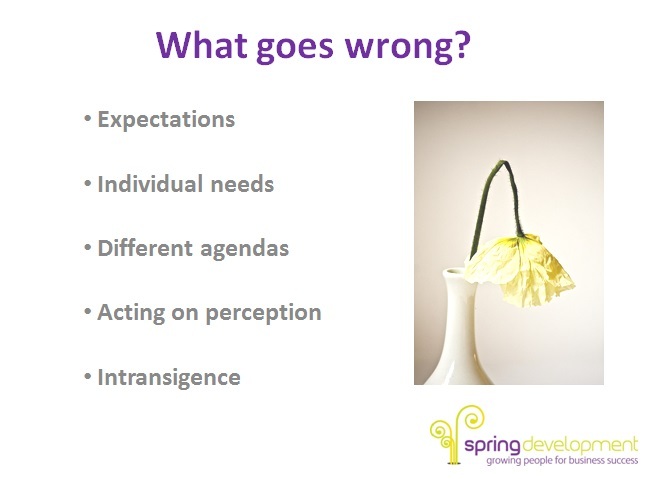 We ended the session by trying to identify three things we could each do differently. 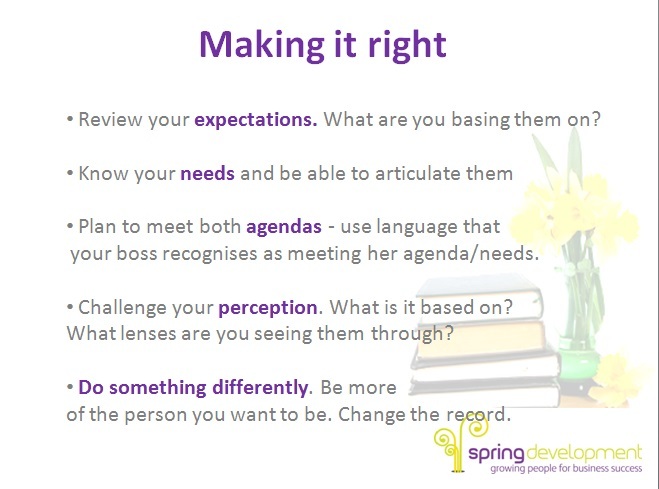 Ideas suggested included being more transparent so that our boss could see our progress; focussing on what was good about the relationship rather than the differences of opinions; trying to find out more about what was important to the boss to increase understanding. As always, the evening went far too quickly! I hope it provided food for thought and gave new insights to our working relationships. If anyone has tried new approaches, do let me know how you get on.